The wedding musicians of the White Lake Quartet have performed at hundreds of events in Chicago since we began in 2008. We play most often as a string quartet, but also perform as a trio or duet. We are based in Chicago but our members have performed across the US and internationally. Let the White Lake Quartet help fashion your special occasion with personal service and a polished performance. Our coordinators want to assist you in creating the musical atmosphere of your event. Please contact us for a quote or to discuss what you envision. Also see us on theknot.com, weddingwire.com, mychicagowedding.com, projectwedding.com, and wedalert.com. The White Lake Quartet was formed by violinist Erica Henkins and violist Christine Wiest. In high school, the two played violin together in youth orchestra but parted ways when they went to college. When they met in Chicago several years later, Erica and Christine realized that they were both married/engaged to the other two instrumentalists needed for a string quartet. Originally they decided it would just be fun to sit down and play music together, but about a year later they decided to share that passion for quartet playing with others and form a wedding band. String quartets are a perfect complement to a wedding’s class and atmosphere and because all four members had already played a cumulative 400 weddings, forming this ensemble seemed an obvious step. The name “White Lake Quartet” came from combining three different ideas: ‘White’ came from the fact that they had already played at a number of weddings, ‘Lake’ is due to the close proximity of Lake Michigan to Chicago, and they had 4 regular members all of which are necessary to form a ‘Quartet’. Today the group is led by violinist/violist Christine Wiest and her husband Jonathon Wiest. The White Lake Quartet has played at hundreds of weddings since its inception in 2008. In the summer of 2010 the other founding members, Francois and Erica Henkins, moved to North Carolina so Francois could fulfill his new residency position with the Western Piedmont Symphony. Currently the White Lake Quartet plays regularly with a small core group of Chicago musicians to round out their ensembles. Christine Wiest, a founding member of the White Lake Quartet, began her musical studies on the piano at age six. Four years later she began playing the violin and continued both instruments through high school. Christine attended Calvin College and received her bachelors degree in music education with a concentration in Violin Performance in 2007. While still at Calvin, Christine began playing the viola more extensively. 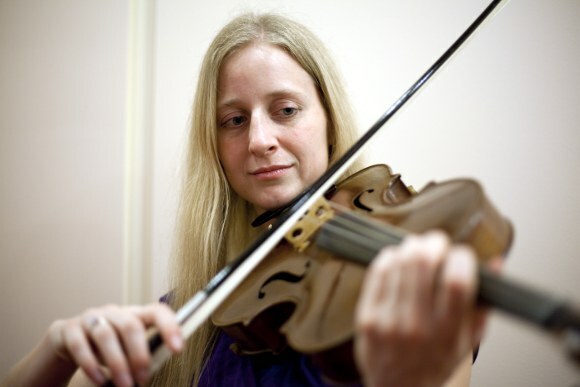 She went on to received her Masters degree in 2009 from DePaul University in Viola Performance. She has been a member of the Civic Orchestra of Chicago and regularly plays with other regional orchestras. Christine teaches violin/viola lessons in the western suburbs. 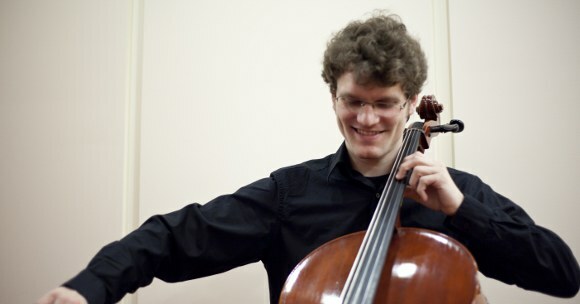 Jonathon Wiest, another founding member of the White Lake Quartet, was first introduced to the cello in fourth grade while living in the Middle East. He continued his studies through high school in Germany and then went to Calvin College in Michigan. In 2007, Jonathon received his Bachelors degree in Music Theory and Composition with a concentration in Cello Performance. Jonathon continued his education at Temple University and received his Masters of Music degree in Cello Performance in 2009. He teaches cello, performs with regional orchestras and as wedding musician, as well as writing music for concert and film.